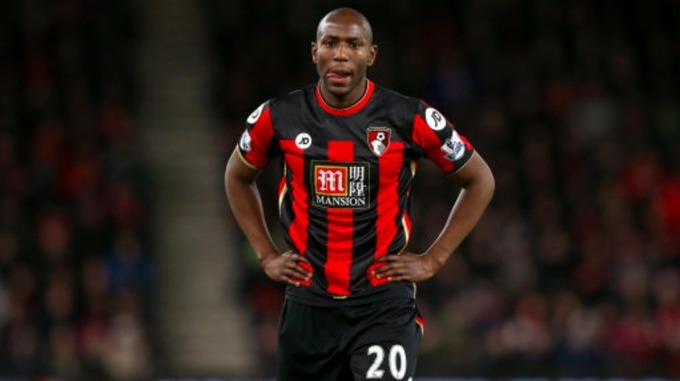 Bournemouth striker Benik Afobe has revealed that he was denied his Democratic Republic of Congo debut after the English Football Association (FA) sent his paperwork to Congo-Brazzaville. The 23-year-old has opted to represent the Leopards at international level despite being born in England - opting instead to play for the country of his parents. Afobe was hopeful of making his debut for the DRC against Guinea in their 2018 FIFA World Cup qualifier this month, but an embarrassing mistake by the FA left the forward frustrated. “Basically, the FA sent my paperwork to the wrong Congo,” Afobe told BBC Radio Solent. “Transferring it took about 10 days and once FIFA had cleared their workload with all the internationals on around the world, it was the day after the World Cup qualifier against Guinea. “But, in order for me to get used to the squad and the conditions, it was worth making the trip and the team won 2-1. The former Arsenal forward will now set his sights on making the 2017 Africa Cup of Nations squad which kicks-off in Gabon next January.